Hundreds of freedom of information requests have revealed the length of council allotment waiting lists and the rents. See the data and an interactive map. This study is an update of waiting lists at those allotment sites owned and managed by principal local councils in England (ie not including town and parish councils). It shows that waiting lists remain high and that despite the large demand for allotments, there seems to have been little increase in supply. The number of plots in new allotment sites brought into use by local authorities in the last year was only 939. This figure represents only about 1% of the number of people on local authority waiting lists. Download a spreadsheet containing all the responses. In addition, the individual council responses can be viewed on the website www.WhatDoTheyKnow.com. This is a website which helps you to submit requests for information to public bodies, under the Freedom of Information Act, 2000. Search for the council and you will see all the FOI requests sent to them via the website, and all the responses received. This study looks at those allotment sites owned and managed by principal local councils in England (ie not including town and parish councils). It shows 94,124 people waiting for 158,796 plots on these sites. Thus, on average, waiting lists have increased from 49 to 59 people waiting for every 100 established plots - an increase of 20% in the last 12 months. In this time, only 483 plots in new allotment sites were brought into use by these councils. February 2010 Produced jointly by LGA and CLG, a response to increasing demand. 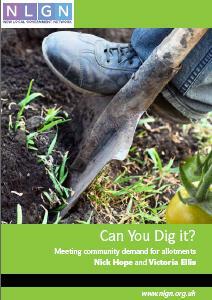 Discusses waiting lists and how councils can work with others to help more people get growing. Can be downloaded free from the LGA website. 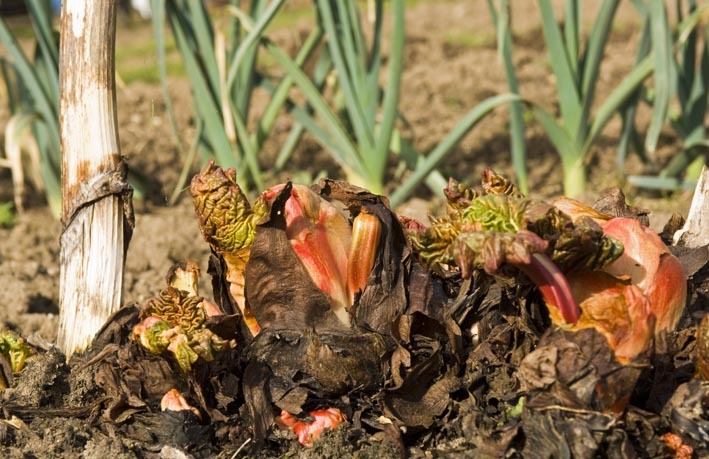 "This paper argues that the revival in interest in allotments should be harnessed. We make a series of recommendations on how we can create, promote and protect them. Britain needs a new Dig for Victory campaign that recognises the myriad of positive outcomes that allotments can bring, that captures the public mood and which ensures a sustainable approach is adopted." 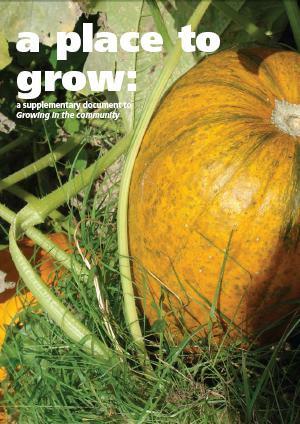 It acknowledges the important role of home-grown food and recommends that "When it has been established that there is an unmet demand for allotments in a local authority area, the Government should require the local authority to publish, within three years, a plan setting out how it proposes to meet the demand." 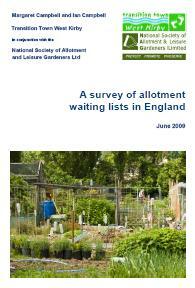 In June 2009, Transition West Kirby and the nsalg published A survey of allotment waiting lists in England which confirms the extent of the increasing unmet demand for allotments. It looked at those sites managed by the principal English councils. It showed that on average, for every 100 established plots there are now 49 people on waiting lists. In the last major study in 1997 there were 4 people waiting for every 100 plots in England. The authors intend to repeat the survey in 12 months to monitor the situation. Ways of increasing the amount of land available for allotments in Scotland have been discussed at the first Growing Spaces summit, set-up as part of the Scottish Government's commitment to provide more support for 'grow your own' initiatives as part of The National Food and Drink Policy. The Scottish Government is considering holding a conference to discuss an allotment shortage across the country. Roll out the barrows: You don't need an allotment to grow your own!